Those that come to Lisbon for the first time focus more on Alfama. It doesn’t really surprise me. Alfama is very atmospheric. However, don’t focus only on that part of the city. At least one day spend in Bairro Alto, where you will find really interesting sights, beautiful buildings and many, many places to eat and drink. I admit that I like Bairro Alto more than Alfama. For some reason, I am really attracted to that part of the city. It seems that there are lots to see there. I go there again and again to admire the architecture and to get to know the city even better. Before you start reading, check out my comprehensive guide to your short holiday in Lisbon! You will find there everything you need for your stay in this amazing place! How to get to Bairro Alto? Bairro Alto is located very close to Alfama, which is one of the most famous areas in Lisbon. The closest metro stations are Restauradores, Rossio, Cais do Sodre, or Rato. Many buses also operate to these spots from various places in the city. How to visit Bairro Alto? Bairro Alto is best visited by foot. 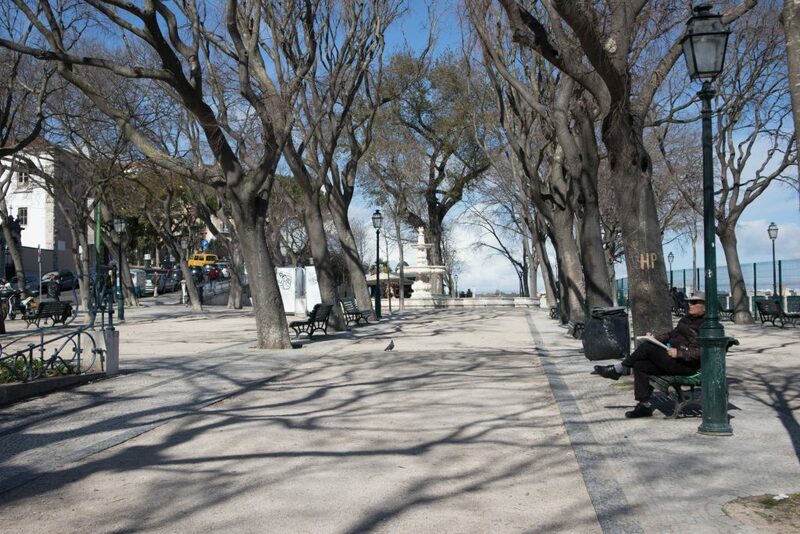 I think walking, in general, is the best way of seeing Lisbon. This way you can check all the little allies, walk into wine bars, shops and just wander endlessly. 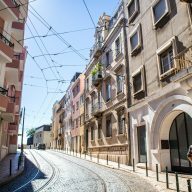 As any other areas in Lisbon, Bairro Alto has an amazing history. That’s why it’s sometimes best to use a guide. If you’re after a real, local experience, hire a guide from With Locals. They only offer custom made, unique tours, which are conducted by independent guides, who actually live in the place you’re visiting. You can ask them to take you to places that are off the beaten path, eat in bars and restaurants they normally eat and ask them lots of questions about the Portuguese culture. You’re not only getting a genuine experience, but you also support the locals! What to see in Bairro Alto? These fountains on Rossion Square are really amazing. Start your sightseeing from the most popular place in Lisbon. 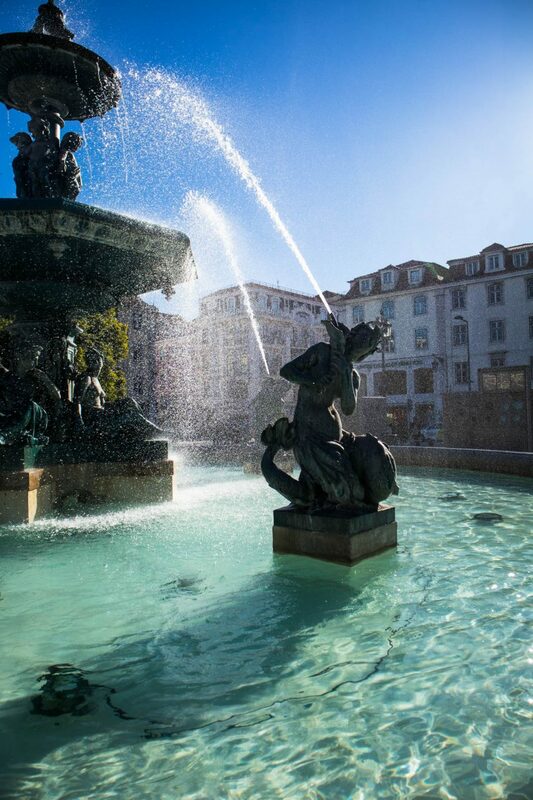 Rossio Square, which official name is Peter the 4-th Square is very beautiful and is the lively center of the city. It is also its symbol. The name comes from the tall column of the king of Portugal, which stands in the middle. A very interesting fact is that it was supposed to be a sculpture of Maximilian the 1-st, who in the 19th century ruled Mexico. 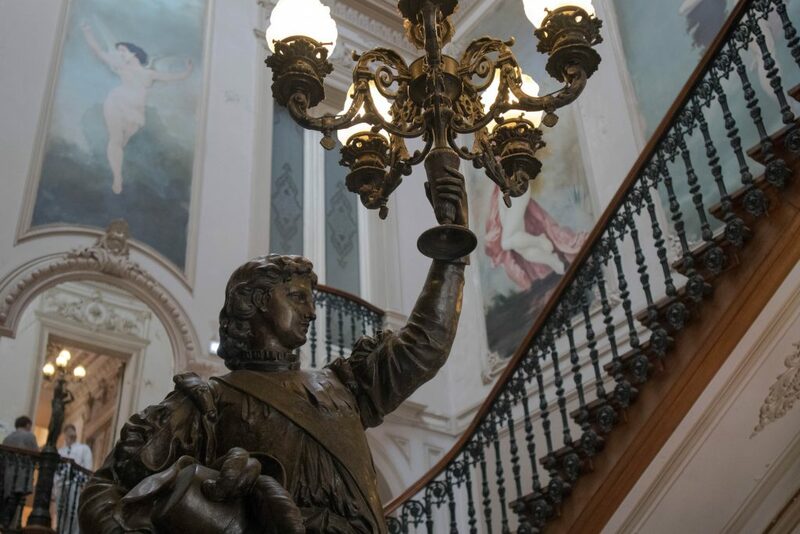 The art was ordered to be made in Portugal and then it was planned to transport it to Mexico. Unfortunately, just before it was finished, Maximilian died. Smart Portuguese didn’t want to waste good work and decided to use the monument. They announced that it’s the sculpture of Peter the 4-th and put it on a column in Rossio Square. You can see Bairro Alto quicker if you use the lifts here. 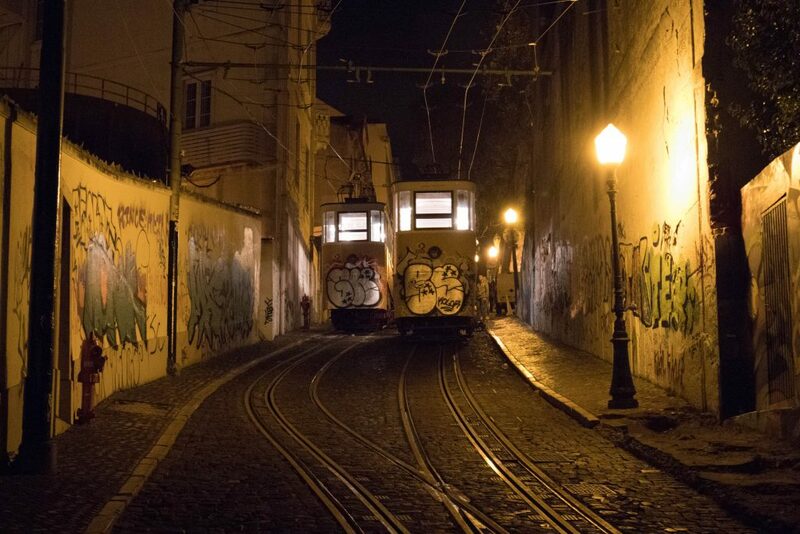 One of the attractions of Lisbon – a small tram with only one carriage, which goes up and down on the hills of the city. In the past, this used to be a very convenient way for locals to get to their homes. Today Elevador da Bica is a tourist attraction and really amazing fun for visitors. 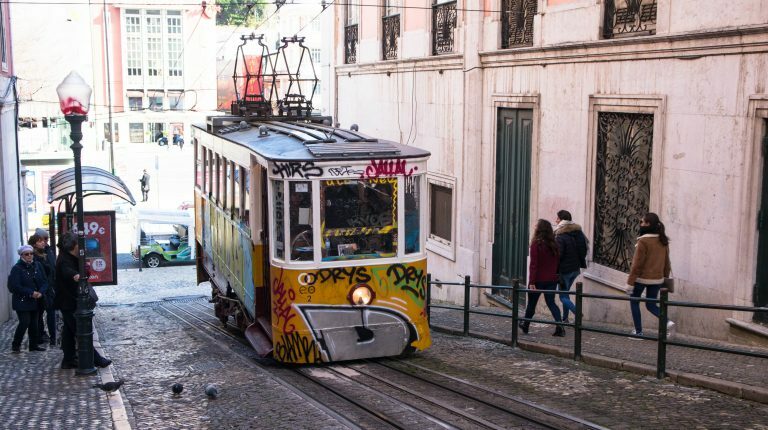 The ticket costs 3 Euro – a bit much for such a short distance, but riding one of these trams is a must thing to do in Lisbon. The monastery is small, but you can really fall in love with it. This place made a big impression on me during visiting Bairro Alto. The medieval monastery of Carmelites was destroyed during the famous earthquake in 1755. Until now it hasn’t been restored and is a live proof of those events. There is also an archeological museum in the area, where you will find very interesting artifacts. Unfortunately, they are not described and there’s no information, but it’s really worth having a look nevertheless. There are really long queues at this elevator. People come here for amazing views. Elevador da Santa Justa is in every single guide book, but not many know that there’s an easier and cheaper way to get to the top. 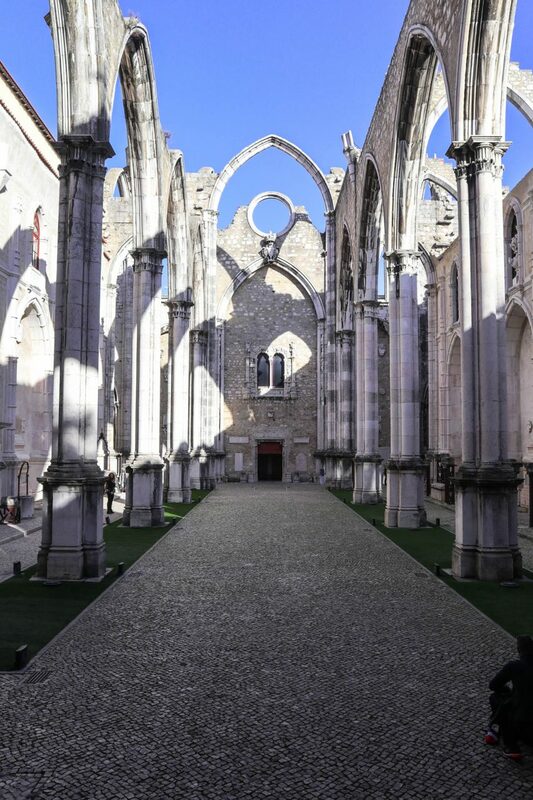 After you leave the Convento do Carmo, turn right straight away. Go up the stairs to the Bellalisa restaurant. You will find another staircase there, which lead to the entrance to the lift. From here you can get to the top for only 1.50 Euro. 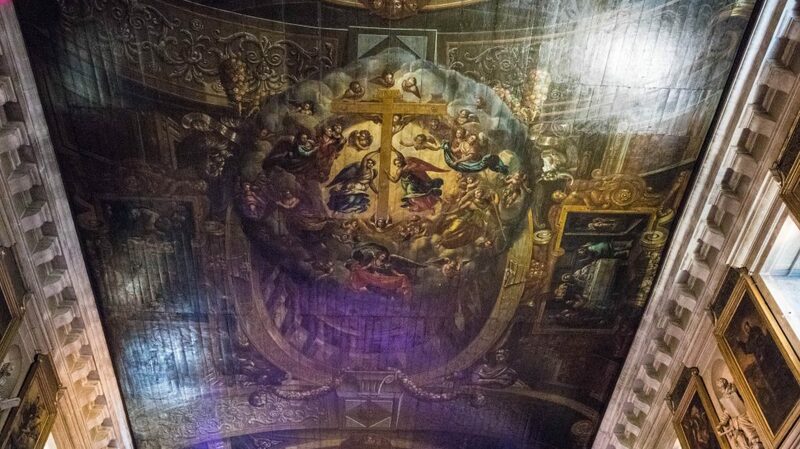 The amazing ceiling in this church is a true work of art. This little church was on my list of things to see, but I wasn’t that keen on going there. There are many churches in Lisbon and I thought it was going to be ok if I miss this one. It’s actually lucky that I went there at the end because Sao Roque is very charming and has one of the most beautiful ceilings! During my visit there was a rehearsal for a nativity scene and I couldn’t take that many photos. I was just standing there and looking up until my neck started to hurt. You can party here, but you can also relax by the river. Do you fancy a drink or a party, go to Cais do Sodre. At the metro station, a couple of metres in the direction of the city center, you will find a countless number of bars and the famous Pink Street. This area used to be lined with brothels and today it’s a great location for parties. At the river, you will also find bars. I recommend K-Restaurant for a romantic evening and a glass of wine. The atmosphere there is amazing! If you want to watch a sunset, go to a view point. Santa Catarina is one of my favorites. You can admire the panorama of the city and the bridge. During the summer you can enjoy a free concert. Crowds gather here to drink beer and have fun until late. Embaixada is a small shopping center with a very stylish decor. 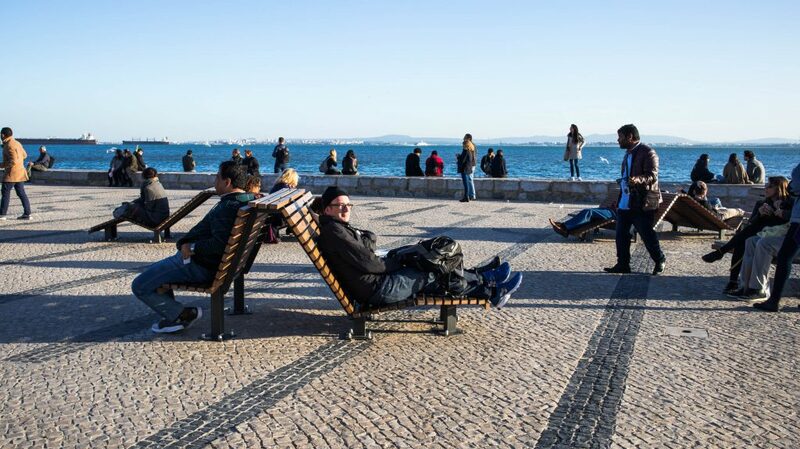 It’s one of the newest attractions in Lisbon. During your visit in Bairro Alto, don’t miss this small and very stylish shopping center. All the shops here sell handmade clothes and home decorations. The stock cannot be found anywhere else. Of course, you will have to pay a higher price for it and not everyone can afford that. However, you can still come here and admire the stores and the decor. I really like this viewpoint for its relaxed atmosphere. Another one of my favorite spots in the city. I really like coming here because there is a small kiosk with coffee just around the corner and there are not that many tourists, especially in the winter. I also spent the New Year’s Eve here and I recommend coming here during that time. You can party for free and admire the city. This is perfect for relaxing. 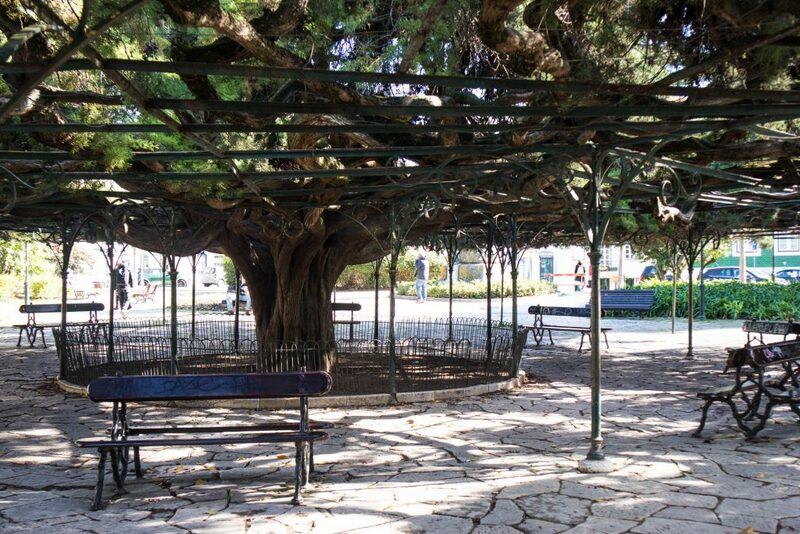 A very lovely park located near Miraduro De Sao Pedro de Alcantara and opposite Embaixada. The main attraction is a huge tree under which you can sit on a bench. It’s also a good place for families with children. The best way to explore Lisbon is on foot. Then you can really see the real face of the city. Don’t be afraid to walk into small, hidden alleys, have a coffee in a small, local cafe and just take your time to get to know the city. If you’re looking for something out of the beaten path and something really extraordinary, hire a private guide. I recommend With Locals, who connect independent guides with tourists and create beautiful, memorable experiences. I did an out of the beaten path tour in Lisbon with them and I couldn’t have been happier. It’s really worth getting someone who lives in the city to show you around. Where to eat in Bairro Alto? A very nice, quiet restaurant, which serves a few dishes. It’s mainly Portuguese cuisine, but you can also find some Japanese specialties. I chose to go there for Valentine’s day and I really recommend it. The food is delicious. A little bit more expensive, but it’s a great idea to come here for dinner. The restaurant is located in the museum of pharmacy and the decor reflects that. During the warmer days, you can sit in a big armchair outside and admire the panorama of the city. This place was recommended to me by one of my readers, who loves this little ice cream shop. I am not such a big fan of gelato, but ice cream in Nannarela are like clouds from the sky. I really recommend it to everyone who loves sweet desserts. Portions are quite big and the prices are affordable. 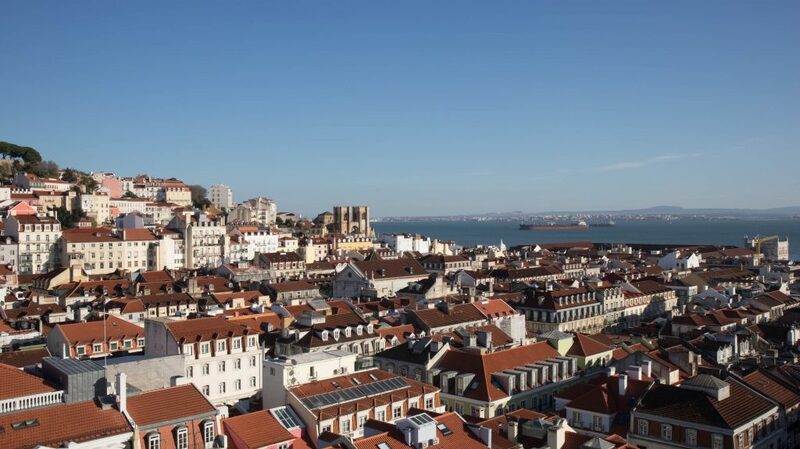 Where to stay in Bairro Alto? Dear Lisbon Charming House: Beautiful rooms with a view over the city. The service is nice and breakfast really good. The price reflects the standard, so it’s only for those, who can spend a little bit more. Oasis Backpackers’ Hostel: This nice hostel is located near the Santa Catarina viewpoint, so it’s a perfect starting point for your trips to the town. Friendly Hills Bairro Alto: Modern, minimalist interiors, perfect location and amazing service. What not to like?